Discards escape rocket. Fire shortly before orbital insertion. 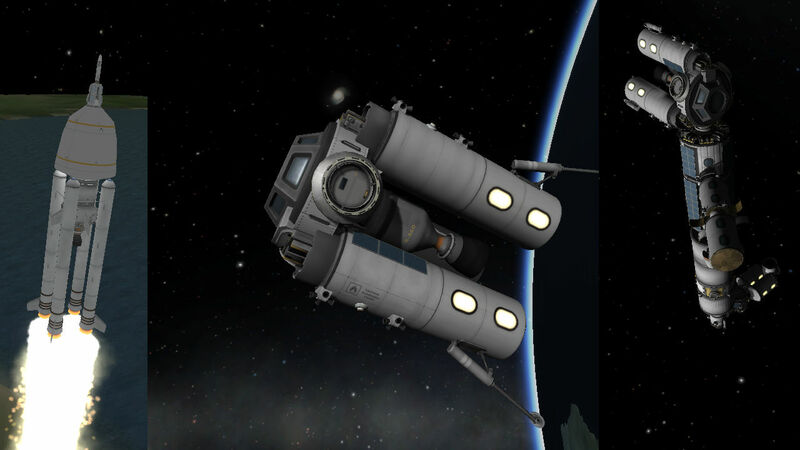 Nuclear tourist transport and mun lander. A stock rocket called 0T Squid. Built with 89 of the finest parts, its root part is cupola.